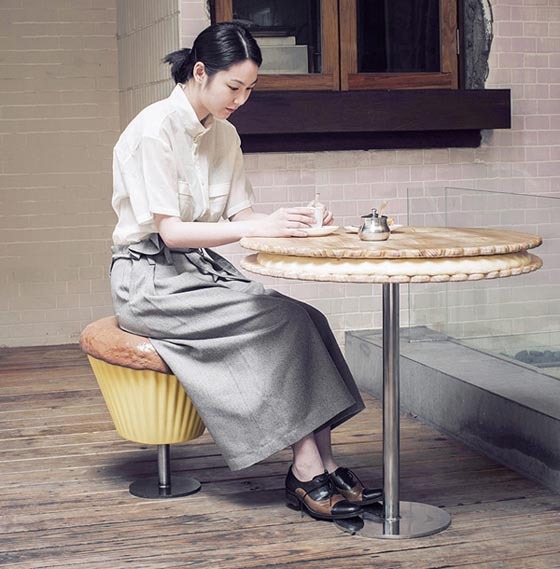 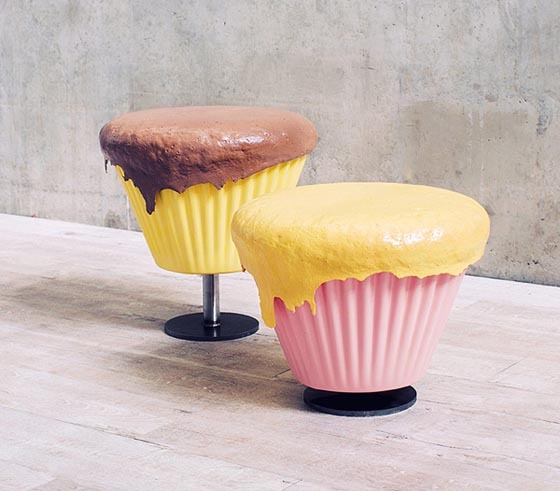 This playful set of furniture called “Sweeties” is designed by Boggy Chan in shape of enlarging sweets. 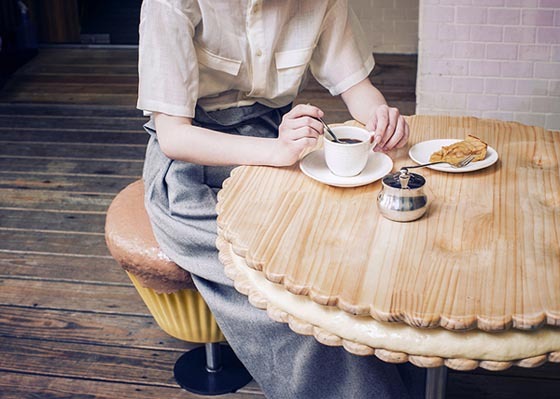 Consisting of a enlarging cupcake stool and biscuit table, this lovely set of furniture will definitely spice up your tea time and give you immersively delicious experience. 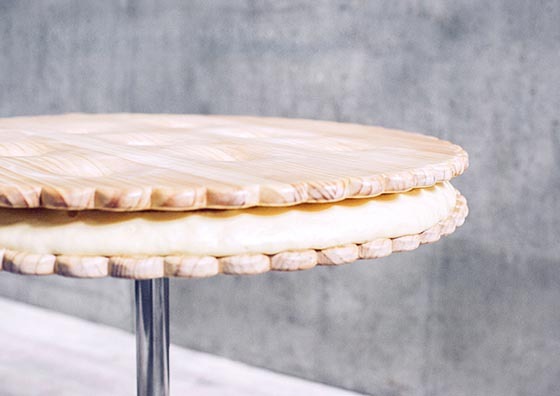 Besides the untra realistic looking, they are quite functional as well. 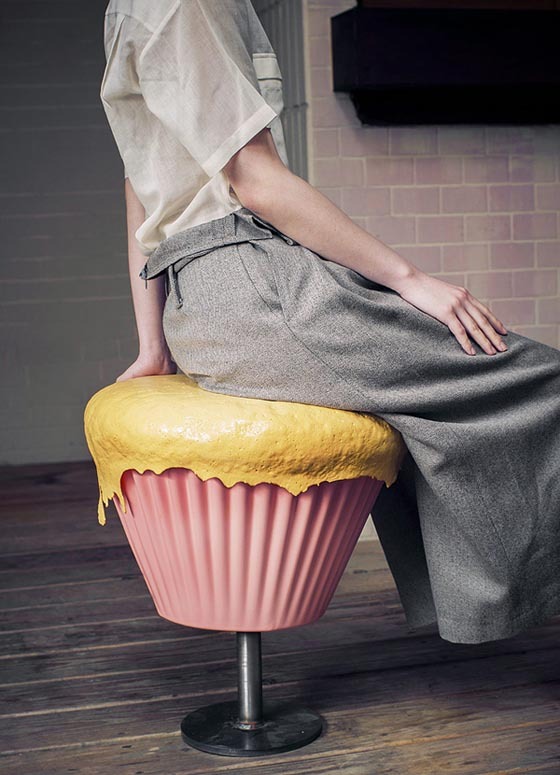 The height of cupcake stool can be adjusted from 30cm to 50cm depending on the user or occasion. 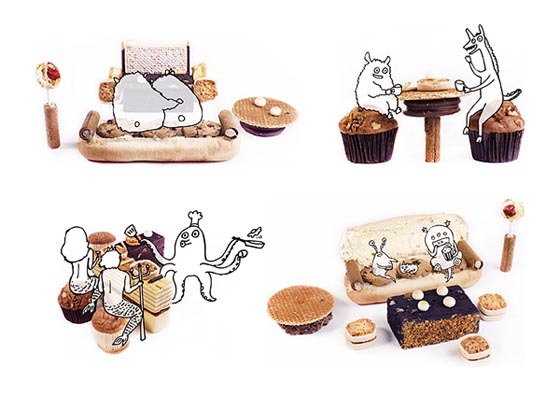 Chan also came up with a bunch of cute concept drawings like sofa, TV bench, coffee table and so on… Can’t wait to see those cute items come to real.